Joomla site builder, web agency? Don't waste your time searching for the best extensions for each website. Let your users search for the locations you've added and configure the display as you want. My Maps Location is simply the most advanced Google Maps integration for Joomla, highly rated on the Joomla Extension Directory. Social Backlinks Joomla extension allows you to automatically post your content on multiple social networks. It come with a lot of 3rd party integrations. Layer Slideshow provides a unique experience to create slideshow with multiple layers. Layer Slideshow is expandable. The extension comes with 5 designed themes that include up to 5 layers each. My Testimonials is a Joomla extension that allows you to get clients testimonials and display them the way you want. Add your clients' feedback or get their testimonials, then display your score and reviews in Google search results. Have you ever wanted to display a clean & well designed vector map on your website? Get the most advanced vector map generator for Joomla with unique features. All world maps, regions included. Item Rating is definitively the most powerful system to display product reviews and ratings in Joomla, K2 and multiple other Joomla extensions. The extension has the voting flexibility you've ever had before. Tag transform is a unique extension that displays your Joomla native tags in a nice way, automatically. The Joomla tag system enhances the content management in Joomla. Team Chart is a Joomla extension that helps you to create flow chart easily. 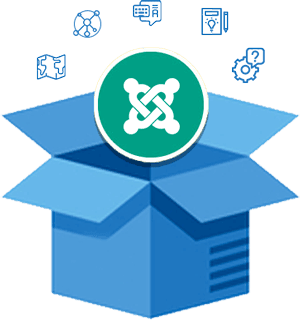 Create and manage flow chart from any Joomla editor. Just open a lightbox using an editor button and start drawing your flow chart. ALSO INCLUDED IN THE BUNDLE: SPONSORSHIP REWARD & TOKEN INTERCEPTOR!